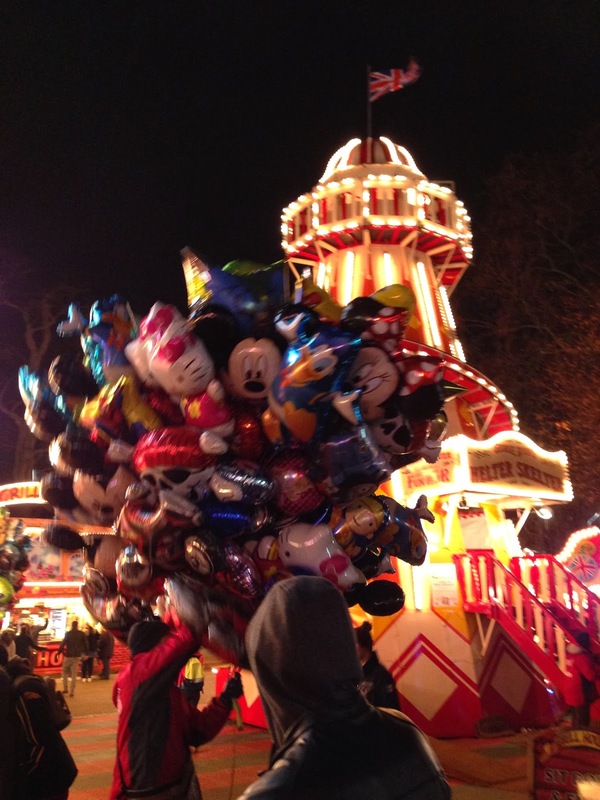 Last night Scott and I went to Winter Wonderland in Hyde Park. 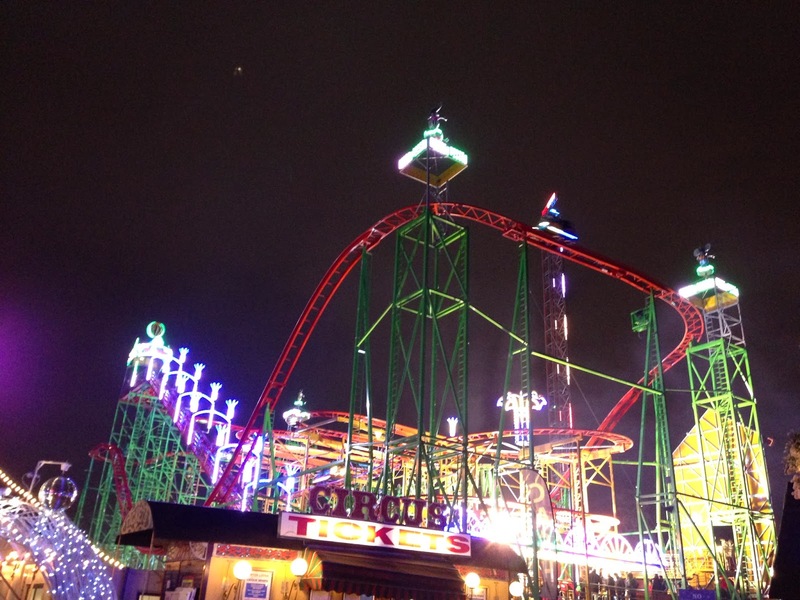 As Scott put it, going to Winter Wonderland has become our Xmas tradition. No, it is not London Eye. We entered at the March Arch entrance. As we entered, you cannot miss the ferris wheel. It has grown this year!! It was impressive! 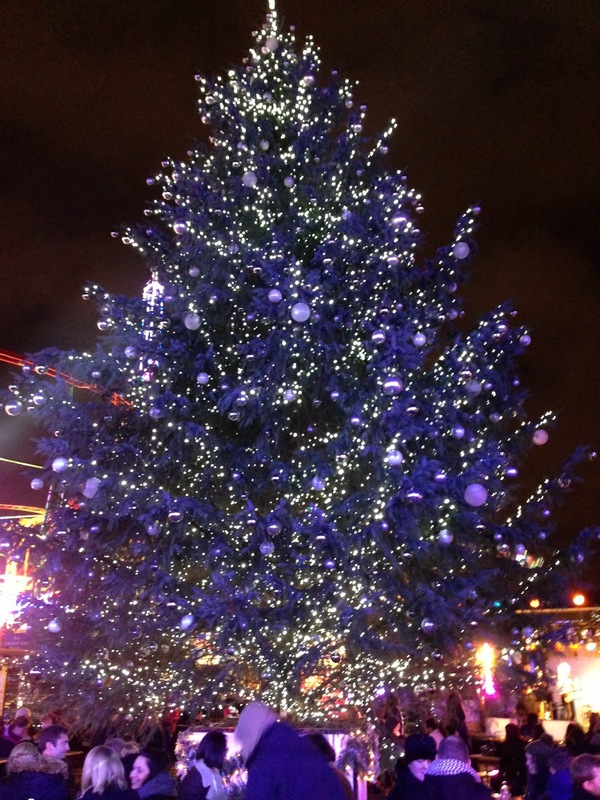 One of the pretty spot inside - there are seatings to eat & drink under the huge Xmas tree. I never found the food impressive or inspiring in the Winter Wonderland. It's always hotdogs and burgers, sweet stuff such as waffles and crepes, nothing else. 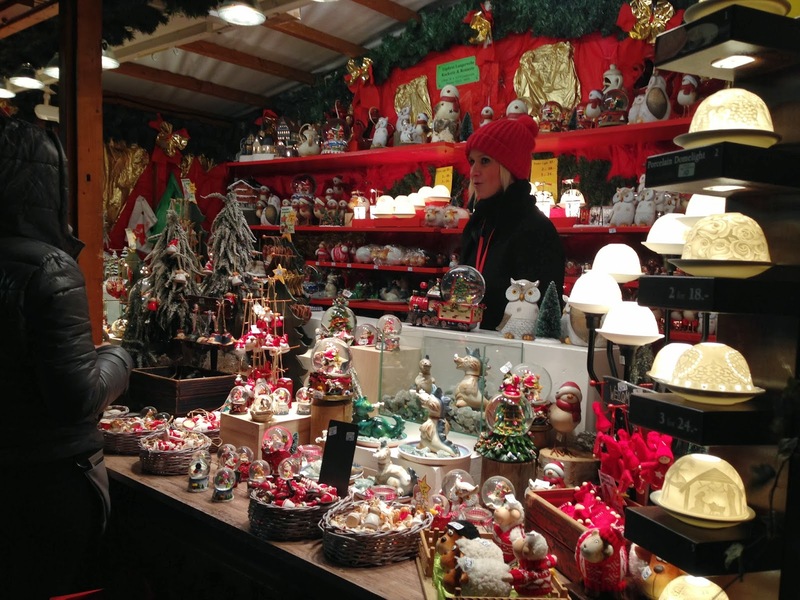 But this year, we saw a few roasted chestnuts stalls! 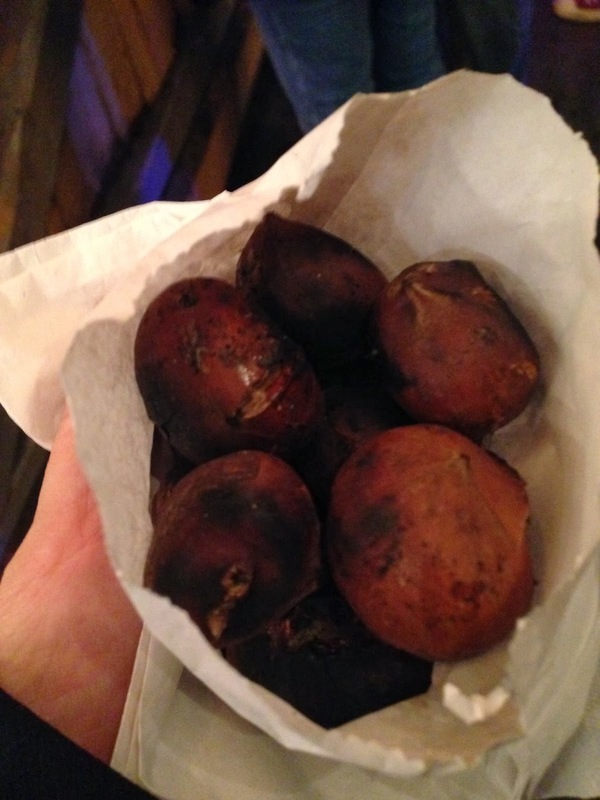 I really love holding a small bag of hot chestnuts in winter, the best hand warmer in the cold, and they are good to snack on too! Having just said that the hotdogs and burgers were unimpressive, we found this! 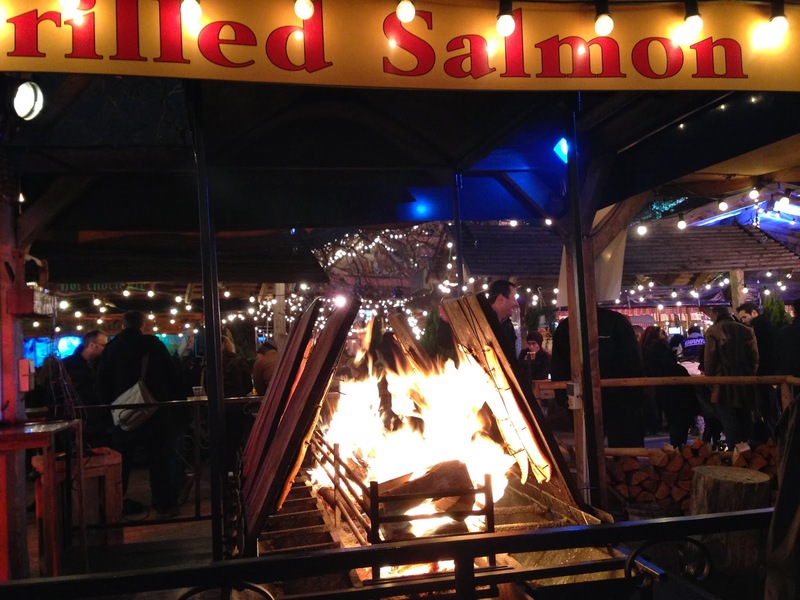 A grilled salmon hut, with a real fire! 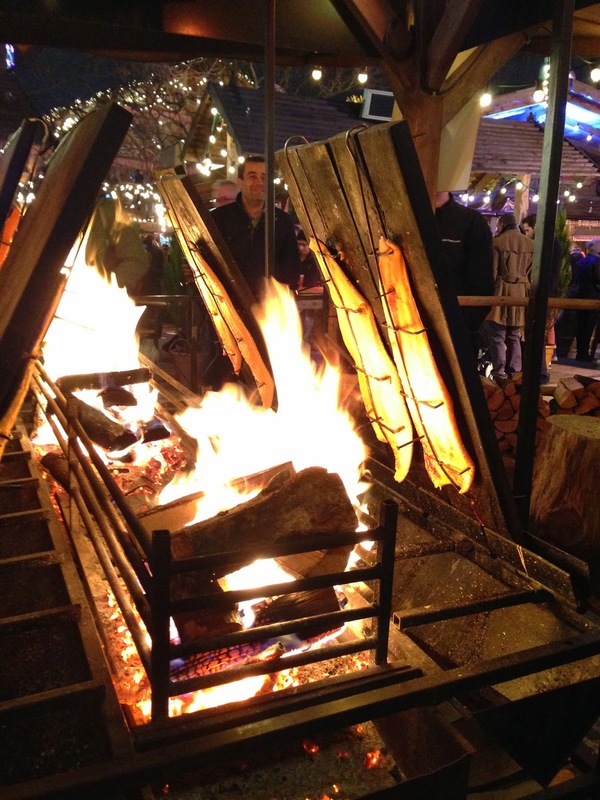 With a real log fire in the middle, the whole pieces of salmon were attached to the wooden boards roofing over the log fire. 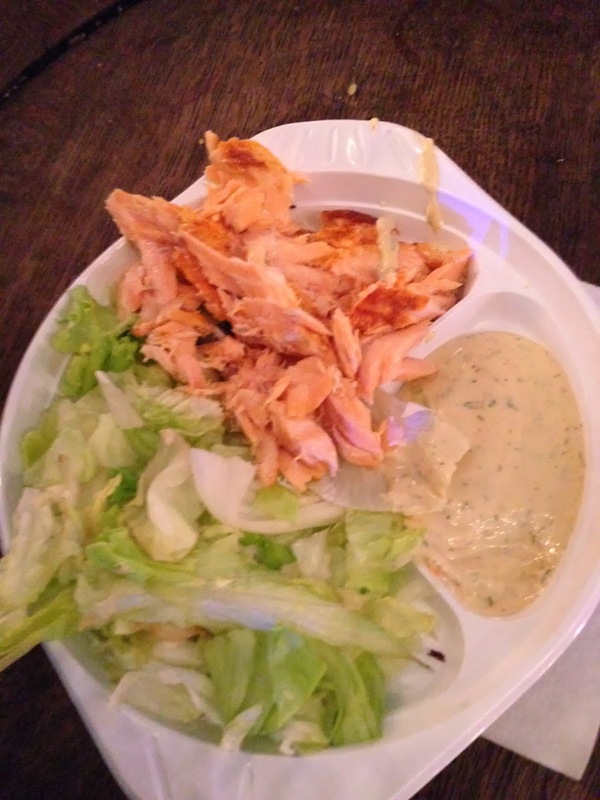 The salmon with the honey mustard sauce was so tasty! £10 a plate (or £6 in a bread roll), it was on the expensive side, but with the innovative factor, and we were lucky to find an empty barrel to eat on by the fire, the whole experience made the £10 so worthwhile. I highly recommend to have a look at the stall when you are there! 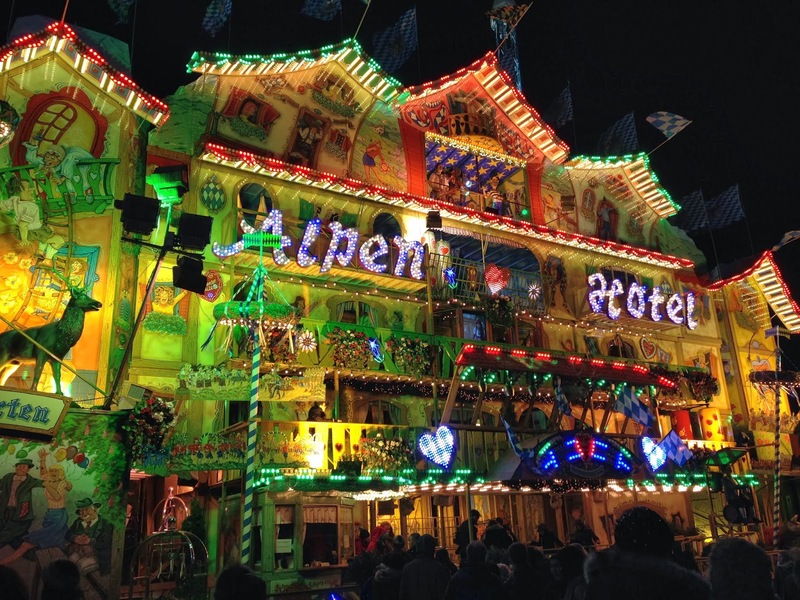 There are also lots of nice pub/bar like stalls for drinks, festively decorated. 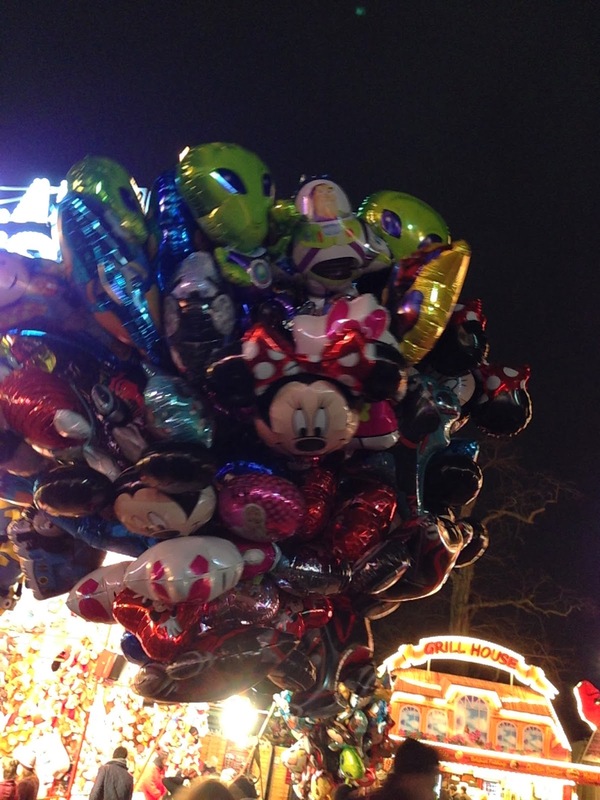 This year, there seems to be more rides and games. 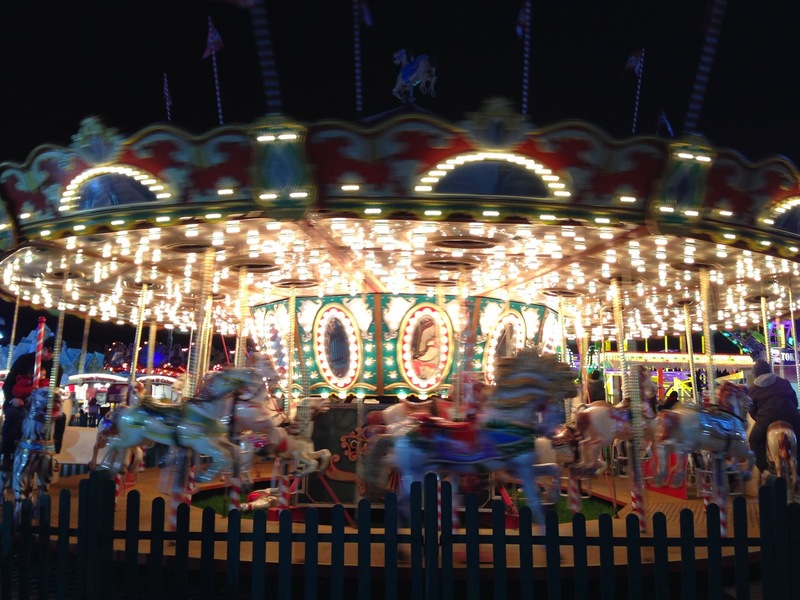 There was also a family area with a variety of rides that suit young kids, and the area were all covered & protected with soft ground bedding. 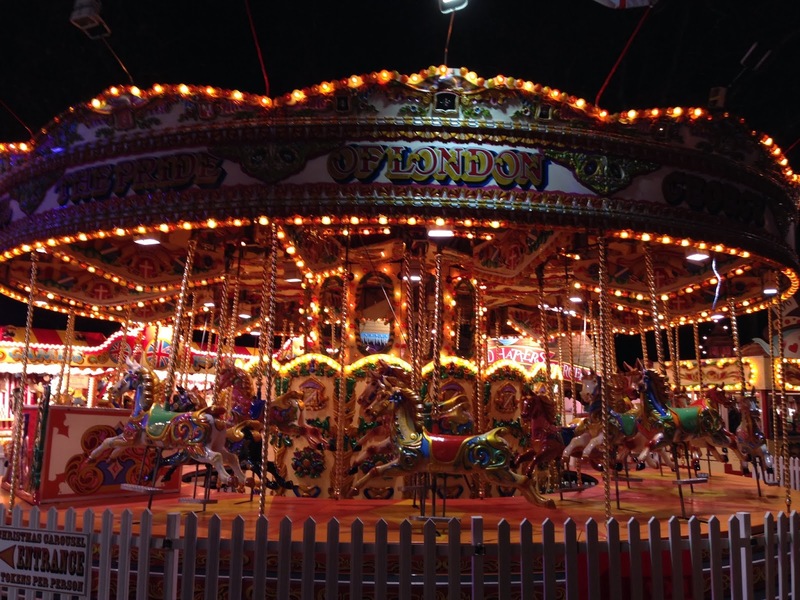 If you don't fancy the rides, browsing the many Xmas stalls were super fun too! 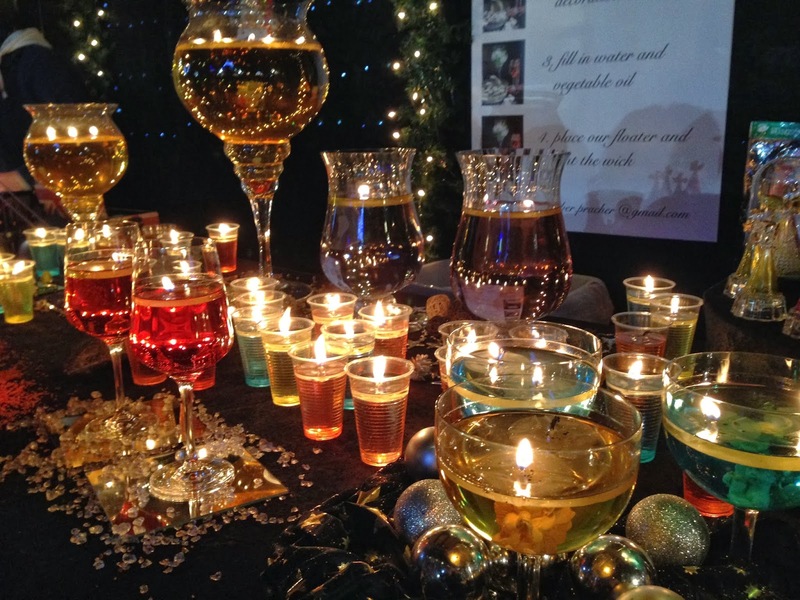 This year, candles seem to be a popular theme. 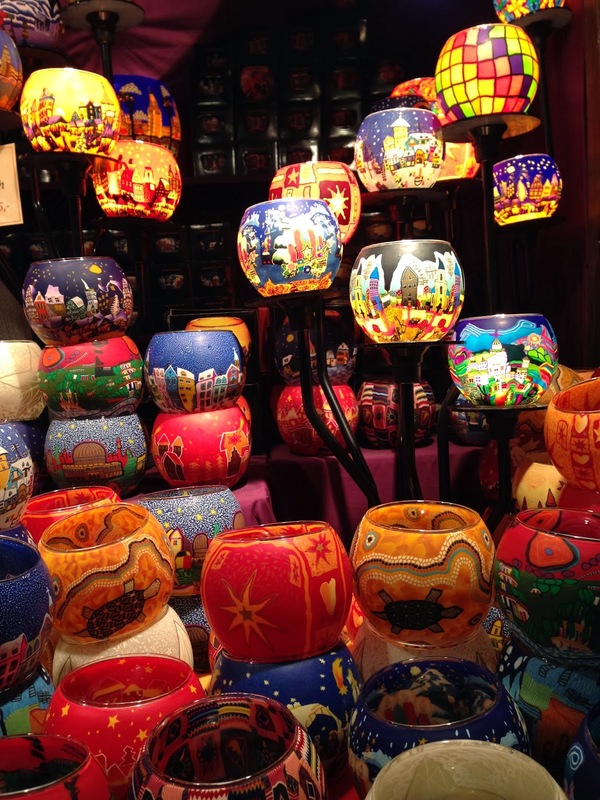 Lots of stalls selling a variety of candles and candle holders. They are all absoutely gorgeous pieces! I wish I could take them all home! 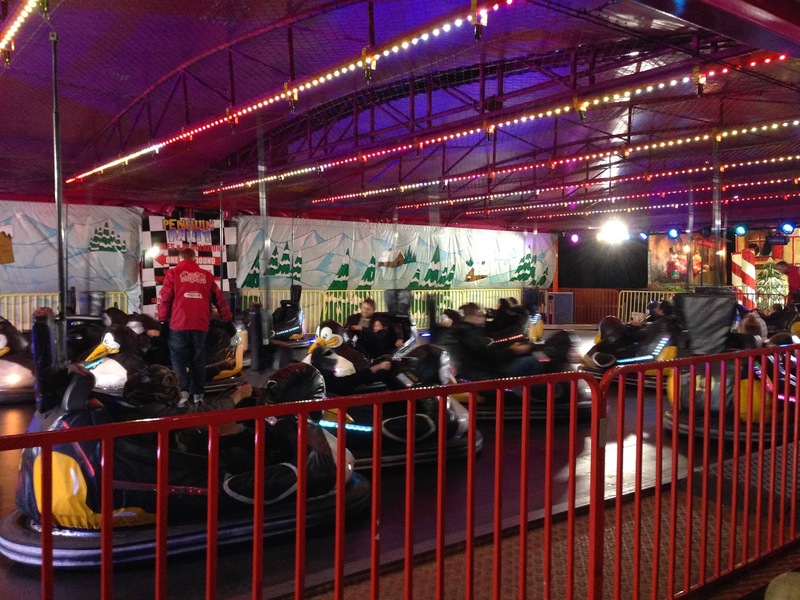 We had fun at the Winter Wonderland this year. 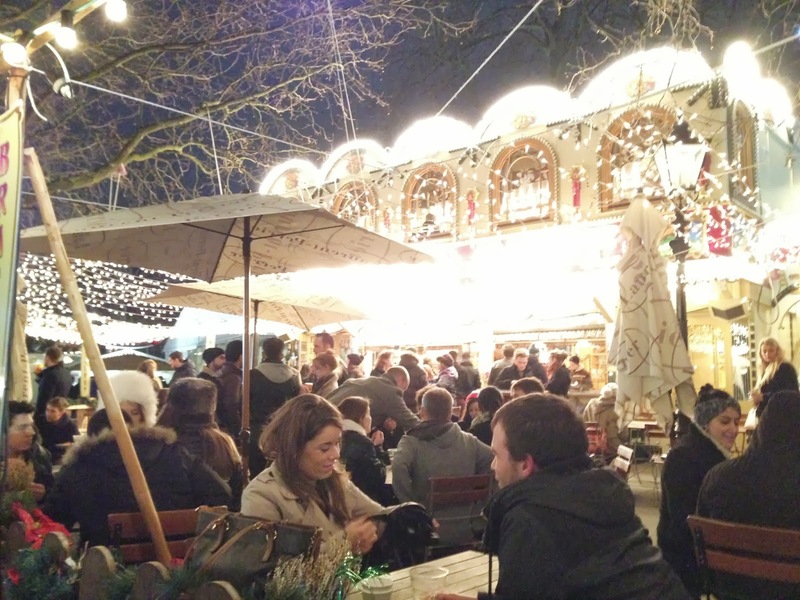 We expected to just have a stroll, have a mulled wine, may be a hotdog too. But we actually saw lots of interesting stuff this year! 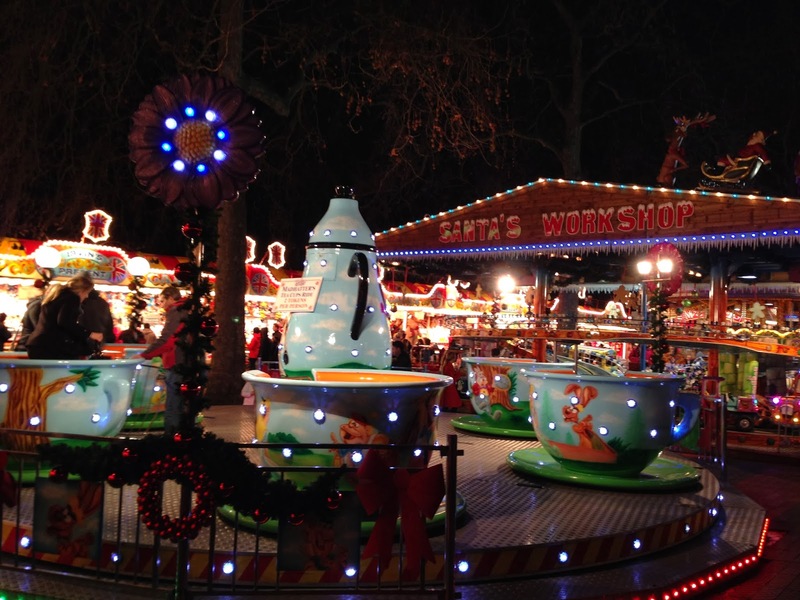 Winter Wonderland in Hyde Park is open now until 5 Jan 2014 (closed on Xmas day). 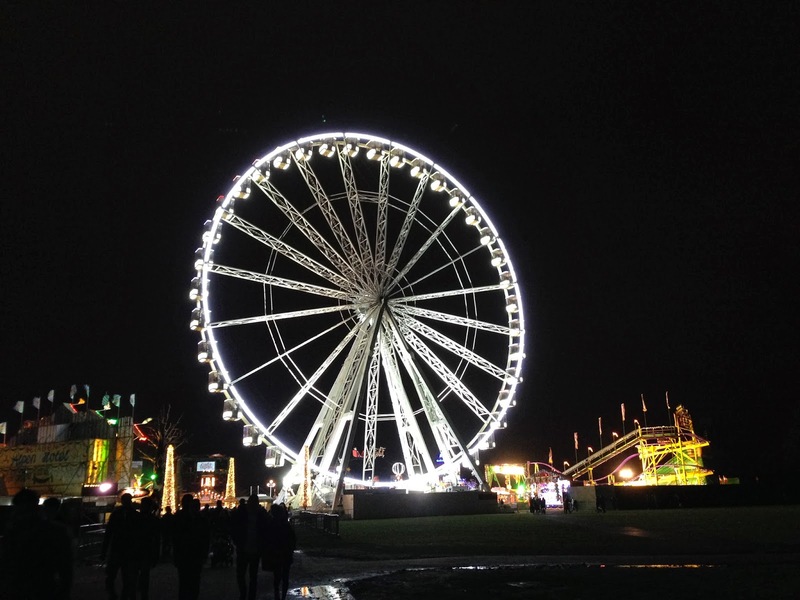 Visit their website http://www.hydeparkwinterwonderland.com for further details.